Do I need a USB SSD? Upgrading SSD performance isn't difficult, and there are many ways to accomplish this. The simplest example is the 2CH Marvell Artemis controller with a TLC flash. 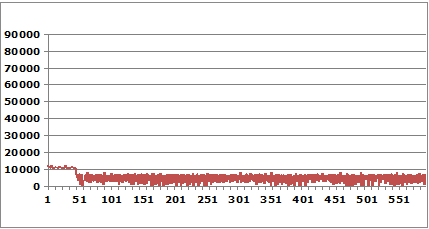 Performance can be enhanced by constantly enlarging the cache (changing TLC to SLC). For example, if your SSD has 128GB, but 15GB is used for cache, then you have less than the advertised 120GB. This shifting of resources is using what consumers should be given (120GB) and using it as advertising for the product. 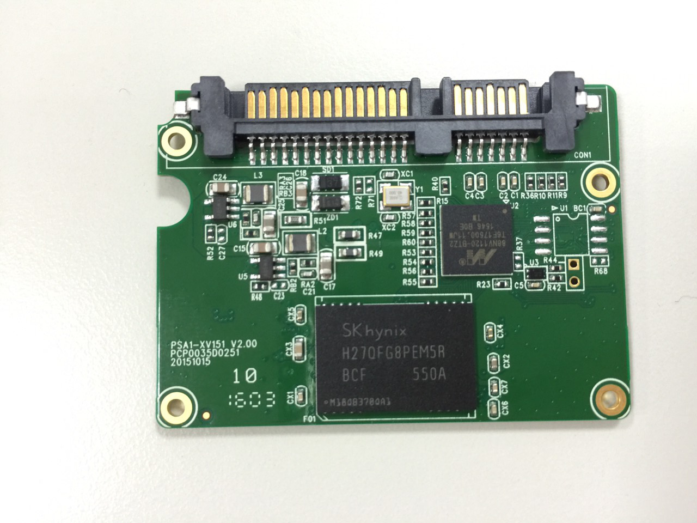 SSD stability is determined by various factors; the controller, flash, PCB, and other parts are all vital. I'll try to keep this short, so let's get right to why I'm worried that 2CH products will push the entire SSD industry into the USB abyss. Is this kind of performance really acceptable? 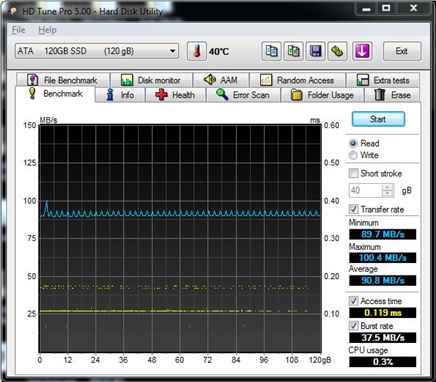 For HDD and USB, sequential read speeds over 500MB/s and write speeds over 360MB/s are considered average performance. 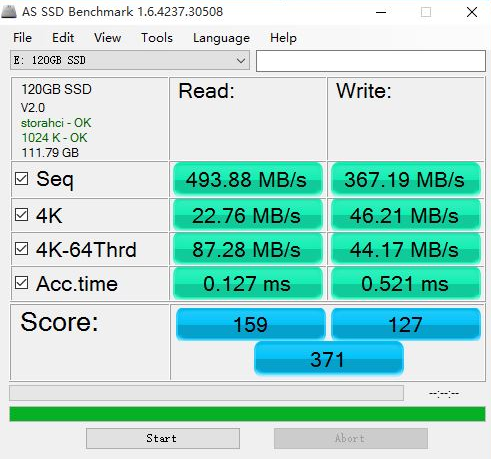 But look at the total AS SSD benchmark score—it’s only 371! With all the SSD advancement, they must think consumers are easy marks for offering such low performing SSDs. 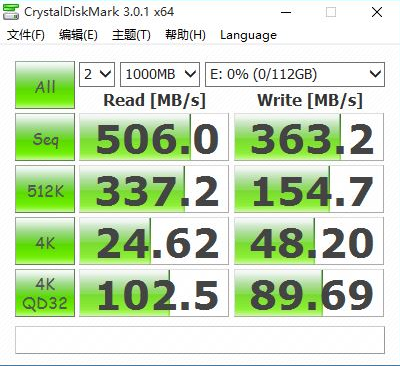 You don’t need to spend the money for such an SSD product; you can save money by buying a low capacity HDD. How is this 4K performance? How is this different from an HDD? Didn’t I buy an SSD? While the read speed performance is better than HDDs, comparison to mainstream 80K or 90K IOPS shows unacceptable performance. 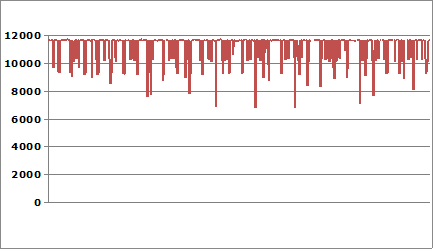 Honestly, just from these numbers, this is a big improvement for 2CH. After analyzing these consumer products, you'll see that sacrificing one component for another is common due to inherent insufficiencies. Those who understand the technology know that a 5GB SLC cache is equivalent to the space for 15GB TLC, so the usable capacity in your SSD was used to increase performance. So why is this called a 120GB SSD? The total flash capacity is 128GB, cache takes up 15GB, and the flash itself has about 2GB of backup space, so your SSD shouldn't be bigger than 115GB. Calling something that's 115GB (actually less than 115GB) 120GB? This reminds me of the upgraded USB drives. Isn't this just cheating consumers? Alright, I'll bear with it for now (I don't know if consumers can do the same) even if the capacity is a little smaller, as long as the stability is fine. 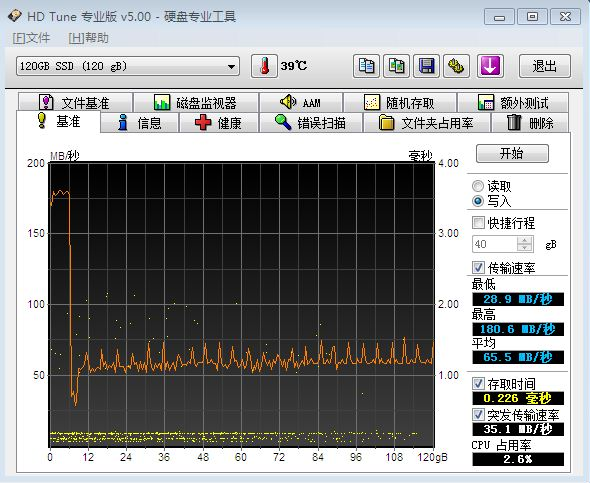 So let's take a look at the stability of this SSD. We just said that the cache was expanded to 5GB, so spare space is already low; this will increase speed. SSD lifespan is also a big ordeal, so let's talk a bit about lifespan. On average, the speed is just 100MB/s. In contrast, some products on the market have tested over 500MB/s. What gives? Isn’t this an SSD? I believe this model of SSD has both firmware and hardware problems. The level of performance is on par with an HDD. I bought a group of similar SSDs and ran some basic tests for sleep/wake up, power failure, and wear. All four broke in the power failure test. In the wear test, one wasn't recognized after 119 hours and one wasn't recognized after 189 hours. One out of six failed the sleep test. If these products end up in the hands of consumers when they can't even pass these basic tests, they'll lose all their data—after all, this is an SSD, not a USB. 2. Looking at other materials, the DC-DC power is all cost-oriented. The core power uses a 1A power source. For certain circumstances, this may be insufficient in a 120GB SSD. Additionally, a power surge may simply burn out the DC power source, which would result in an expensive repair..
3. There is no DRAM which lowers performance, especially for small files. The tests above show that the 4K performance isn’t much better than an HDD, so you’ve basically paid for HDD performance in an SSD. In summary, this model of Marvell controller wasn’t originally designed for SSD control. The main consideration for the design was cost. The resulting hodge-podge is akin to a vehicle with the minimal requirements to obtain a street legal designation.. When will it lose all of your precious data? Nobody knows. At the very least, it is 30 RMB cheaper than other products. I’m certain consumers will feel cheated when they spend the money for an SSD but only get HDD performance. No wonder consumers don't pay attention to this kind of product.